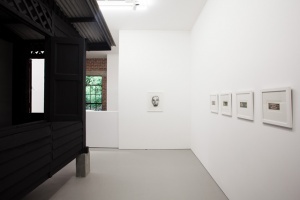 Sulaiman utilizes a wide array of artistic approaches, from two-dimensional works, site-specific installations, and performances to writing, and even creating spaces such as gallery and bookstore to encounter fresh experiences of art, suggesting that for her, artistic practice and life are inextricable. 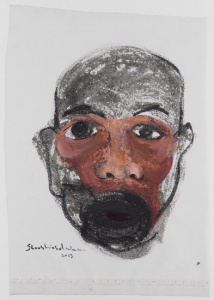 Many of her works are based on situation, experience, and process, as her journey of investigation in cultural and social configurations, or identity continues. Rather, they become important part of the works themselves. In Emotional Library presented at Documenta 12 in Kassel, Germany in 2007, Sulaiman invited the visitors into a curtained area, where the artist’s two books were placed, to enter into conversations and relationships. This was followed by Emotional Baggage – Drawings as Performance at The National Museum of Modern Art Tokyo in 2008, where the artist traveled and engaged in honest and spontaneous exchanges with people, dragging her suitcase with her books inside everywhere she went. Intimacy and engagement on an emotional level seem to always exist in her diverse oeuvre. Her materials are often humble and expressions are sincere. 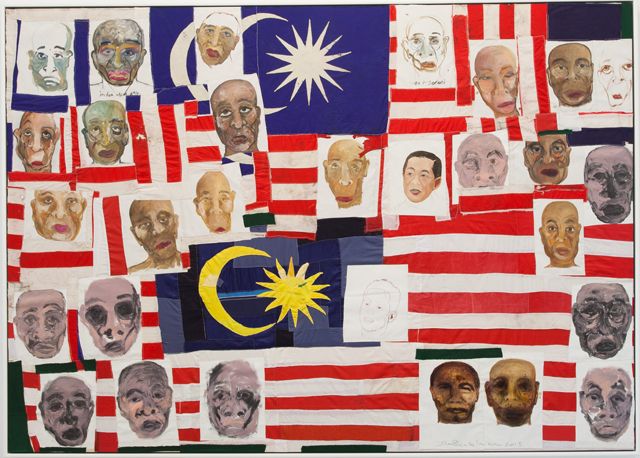 Yet, since her first works in the 1990s, which indirectly resonated Malaysia’s social change at that time, her expressions are richly multifaceted and manifest deeper and broader landscapes of history, culture and human experiences and imagination. For her first solo presentation, Shooshie Sulaiman poignantly reflects on notions of identity. Referencing her late father, Sulaiman itu Melayu explores how distinctly ‘Southeast Asian’ and ‘Malay’ cultures are constructed and perceived, through drawing, collage and site-specific installations. 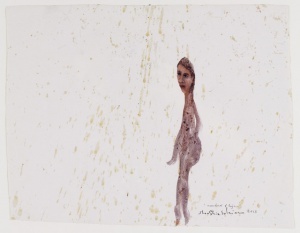 By activating and deconstructing the processes through which cultural categories are formed, the works in the exhibition not only challenge the idea of inherent identities, but the artist’s own assumptions about her personal history. Characteristic of her open-ended approach, Sulaiman itu Melayu aligns the complexities of life with those of art – as one, holistic quandary. 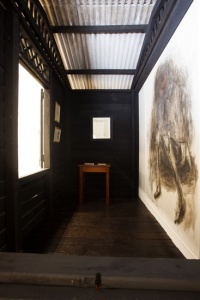 For the exhibition, Shooshie has combined soil from her father’s grave and the ash remains of her drawings and Rumah (2002-8), her former studio and situation piece. 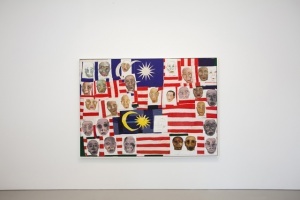 In this work, Shooshie repositions the acts of post-production related toRumah (it was last shown as part of Rumah Sulaiman di belakang Kedai Ah Guat at the Singapore Biennale in 2011) to a kind of ‘post-process’, overlapping values of the subject and the body within the same material. 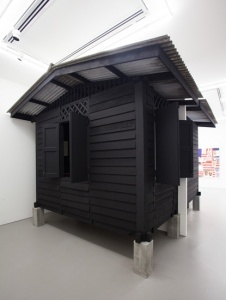 Specially conceived for Tomio Koyama Gallery, Singapore, Sulaiman bought a home is a replica of the house that her father first bought for his family. Etched with texts in Jawi from Surah Al-Fatihah, the passage from the Qur’an that is recited when somebody passes away, Sulaiman bought a home evokes the Malay Muslim family home as a site of peace and calm. Sulaiman was a rubber tapper comprises sheets made from milk extracted from the surviving rubber trees of Shooshie’s family home in Segamat, Johor, Malaysia. Through these works, she explores the relationship between humans and nature, performing ‘rituals of detachment’ from her father. 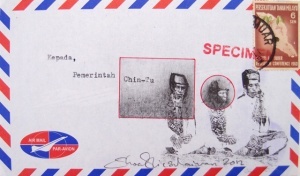 Other works featured include Shooshie’s studies on Malaysian currency notes that date from the Japanese Occupation (1941-45) and collaged envelopes layered with images of Malays from the past. Containing subtle manipulations and interventions, these studies highlight their materials’ latent energies and issues in the making of cultural perception. 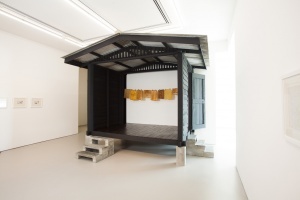 As part of her presentation at Tomio Koyama Gallery, Singapore, Shooshie will be opening 12 Residence, a guesthouse in Malacca that invites residents to experience art in incidental and unexpected ways. 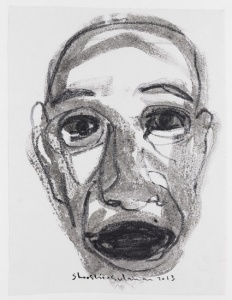 A fully-illustrated monograph on Shooshie’s work to date, edited by curator and writer Melanie Pocock, will be published during the exhibition. Titled Sulaiman, it includes contributions by Jenniffa Hanum Dadameah, Hasnul J. Saidon, Trevor Smith, Russell Storer, among others.